Early North America was a place rife with violent conflict. Between the 17th and 19th centuries we can see a lot of conflict between different Native American peoples, Native American peoples and colonists, colonists from one empire versus colonists from another empire, settlers from one state quarreling with settlers from another state, and in the 19th century, we also see strife between Americans, Canadians, and Mexicans. Today, we’re going to explore some of the causes of the violent conflict that took place in early America by looking specifically at Native America and the ways Native Americans used guns to shape their lives and the course of North American and indigenous history. 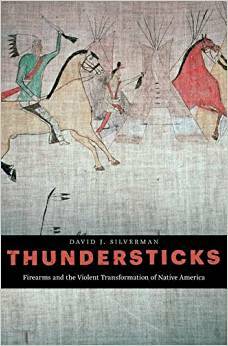 Our guide for this exploration is David J. Silverman, a professor of history at George Washington University and the author of Thundersticks: Firearms and the Violent Transformation of Native America. 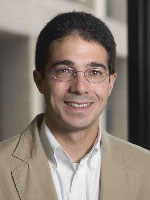 David J. Silverman, a professor of history at George Washington University and the author of Thundersticks: Firearms and the Violent Transformation of Native America, joins us for an exploration of Native America and the ways Native Americans used guns to shape their lives and the course of North American and indigenous history. During our investigation of Native America, David reveals information about the arrival of guns in early America and Native Americans’ interest in them; Details about Native American’s trade for guns; And, the ways Native Americans used guns to revolutionize their lives. Bil would like to know, in your opinion, what might have happened if Native peoples had rejected European and American firearms and stuck with their traditional weapons, ways of war, and hunting?